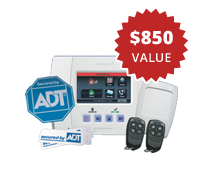 NO COST to you for parts and activation with only a $99 Customer Installation Charge and the purchase of alarm monitoring services. Termination fee applies. See details below. Ask About Same Day Installation! By clicking Contact Me, you agree to be contacted by SafeStreetsUSA for marketing purposes even if you’re on a Do Not Call list, at the phone number provided (including cellular) using an automated phone dialing system. You certify that the number you provided is your own number and you will inform us if it changes. Your consent is not required to make a purchase. 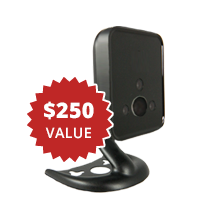 Up to 15 Pre-Wired Window or Door Sensors - $1,935 Value! 2 Keychain Wireless Remotes - $260 Value! Protecting our Communities, One Household at a Time. ADT Tech did an excellent installation of our new wireless security system including camera and motion sensor plus garage door. He also instructed us on how to use the system properly. But this was just the end of an excellent process. I called ADT in the morning and entire system installed same day. Great customer service. My wife and I had an ADT Pulse security system with an outdoor camera installed on the 4th. Our technician was Juan Nunez. He did an amazing job and was extremely professional. The installation was quick and everything works flawlessly. He showed us how to work the system on the keypad, online, and on the ADT Pulse app for iPhones. I want to say thank you for having a professional technician who showed up on time and worked efficiently. I have been a customer with ADT for two years now and are very happy with our service. We wanted a camera in our home and yesterday Don Engstrum, the original installer, came out to install our new products. I didn’t know we were getting a whole new system with WiFi and he did an excellent job. He was very neat with the work he did and he gave us all the time needed explaining the new system and answering any question that we had. ADT and service people like Don are reasons people stay with a good company and I hope he gets recognition for the fine work he does. - James & Yvette S.
*For full details click Terms and Conditions. One Promo per household. **Restrictions apply. Visa gift cards issued by MetaBank™, Member FDIC, pursuant to a license from Visa U.S.A. Inc. Neither MetaBank nor Visa is a sponsor, endorser or participant in this promotion. Monthly inactivity fee of $2.95 after 12 consecutive months of inactivity. Lost/stolen replacement card fee of $5.00. See the cardholder agreement for more details.